make you ultimately feel better, braver and more optimistic about life." "I'm sure the author was quite a headache to her parents." The Hunter tackles the dilemma posed by Carl Jung: Would you rather be whole or good? 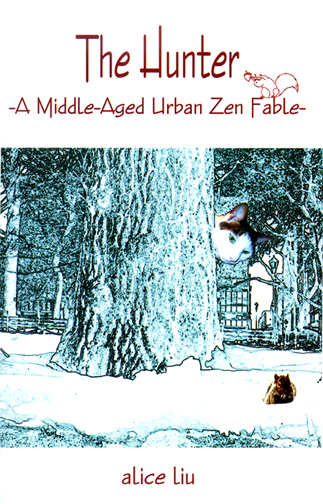 In this sometimes funny, occasionally wicked, always light-hearted urban fable, we follow the forty-something Hunter on his journey to wholeness as he reclaims his lost spirit. Under the guidance of Jeri, his spirit guide, the Hunter learns to detach from the monkey chatter of his mind, while with the companionship of Martin, his sidekick, the Hunter learns to navigate through the insanity at his local watering hole, Detention, an adult playground where misfits and miscreants gather at happy hour to exercise their demons. During one of his hangovers, the Hunter meets six-year-old Alice who recognizes him from their past life together. We soon discover, however, that Alice is on a different journey. 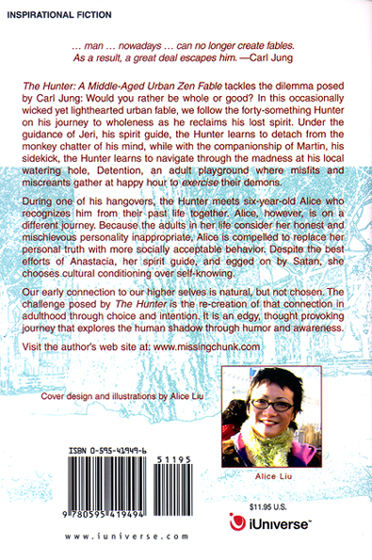 Her honest and mischievous personality, considered inappropriate by the adults in her life, compels Alice to replace her personal truth with more socially acceptable behavior. Despite the best efforts of Anastacia, her spirit guide, and egged on by Satan, Alice chooses cultural conditioning over self-knowing, the process of which, we discover, is the normal progression of life. Our early connection to our higher selves is natural, but not chosen. The challenge posed by The Hunter is the re-creation of that connection in adulthood through choice and intention. It is an edgy "thought" journey exploring the human shadow through humor and awareness. ". . . a whole new perspective. Brilliant!! Really!!" - MaryAnn Pierro, "The Comic Bible"
". . . a cool salve on a wounded soul." ". . . even more uplifting and insightful the second time around . . . The Hunter is teaching me in profound and life-altering ways . . . a deeply satisfying and provocative ride." 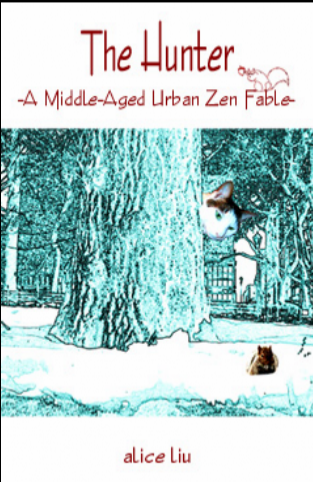 "This quick read is a seemingly light jaunt into a marvelous world of quirky characters who will instantly become your friends. And at second glance, you'll realize it wasn't so light - there's a lot to ponder here! Enjoy it again and again." "This book is a gem. It's a . . . fun read - with all kinds of intersting messages tucked in. . . . The chapters, while weaving a seamless tale, often stand alone as well - making this perfect bathroom reading. I hope the author isn't offended - it's just that you can finish any random chapter quickly and enjoyably. And since it's a fun book to read again and again, you'll always have something fresh to ponder while you sit. I wouldn't say it's the only place to read it... but if you've read it through once, keep in in the bathroom rather than on the bookshelf. Just prepared for visitors to start asking to borrow it!" "It's a challenge not to identify strongly with the characters of this fable (except Satan perhaps) on some level or on many levels. If you don't, you may be on a higher plain than the rest of us already. The fable acts as a mirror, reflecting societal and personal dysfunction's, yet holding out the hope for growth, enlightenment and redemption. It is at once disturbing and comforting. And funny too, if you know how to laugh at yourself." Just like Ender's Game is described...as a science fiction book for people who don't like science fiction. ....The Hunter is a metaphysical/spiritual story....[that is] very accessible to the uninitiated. ... I could easily see [Detention Bar] as the setting for a television series called 'Everything I Need to Know, I Learned in Detention.'" ". . . a deep and meaningful writer." "It's smart and funny and … also therapeutic . . . and boy is it riveting. Your book is a masterpiece." "I'm laughing, smiling and shaking my head as I read...all good things." "As I read it, the words become a part of myself. ... Reading it is a joy, but what comes after in conversation is even better. ... "The reader doesn't find this book, this book finds the reader." "Love the insights and observations. ... You have a knack for wit and cogent observation." "You've got a great imagination and I like your writing a lot." "I've never read anything like it...It's ahead of it's time." "It works on a lot of different levels." "I loved it-I found myself laughing at myself.. It's atypical of anything that I have ever read--it seems to have its own ebb and flow--I like the way each chapter sort of washes over you and then you ponder it/laugh at it/etc and move on to the next thing . . . .. It gives people the license to feel what they want to feel. ... This book serves as a possibility for people to examine themselves without feeling alone.."
"It makes me want to work on myself." "Every day we posted a quote from The Hunter"
"I found myself laughing a lot as I read The Hunter. I couldn't help but see myself in these characters (that's good and bad)." "books to read on the toilet"